David has served as both in-house and outside counsel to some of the largest and most recognizable Fortune 500 companies. In these positions, he has been responsible for developing, coordinating and executing all aspects of patent protection strategies among global teams of business and technology hubs. In addition, he has developed objectives and procedures for identifying and protecting high value technology assets, and organized and led teams of technology leaders, who assisted in coordinating enterprise-wide protection efforts. David also managed patent procurement efforts by in-house and outside counsel. David has gained substantial experience in negotiating short and long-term agreements touching upon the development and exchange of intellectual property with suppliers, innovation partners, and universities. He has successfully protected client interests in negotiating provisions directed to, e.g., ownership of intellectual property, confidentiality, indemnification, representations and warranties, and default. David has also focused on drafting and negotiating software license agreements. He has advised clients about copy-left concerns with consuming open source code and contributing proprietary code to the open-source community, and recommended actions to mitigate the impact on the development of intellectual property. David has also lead efforts to protect company trade secrets though proactive initiatives, including creating protective procedures for recording of business sensitive information, and providing adequate notices and education to company employees. 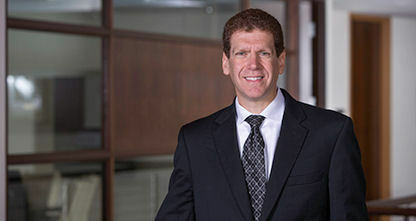 David has drafted and prosecuted patent applications in the mechanical, electro-mechanical, telecommunication arts, to name a few, and participated in various post grant reviews. He has also drafted many freedom-to-operate opinions and patentability opinions for his clients. Further, David has protected his clients’ interests in litigation matters via various Examination Before Trial (EBT) proceedings, including taking and defending depositions, preparing and examining infringement claim charts, preparing Markman briefs and assisting in Markman hearings. David enjoys lecturing about intellectual property, and has participated in and chaired many industry conferences and panels. He teaches Cyber Law at Quinnipiac University School of Law as an Adjunct Professor.